Industrial articulated extendable desk or table lamp. 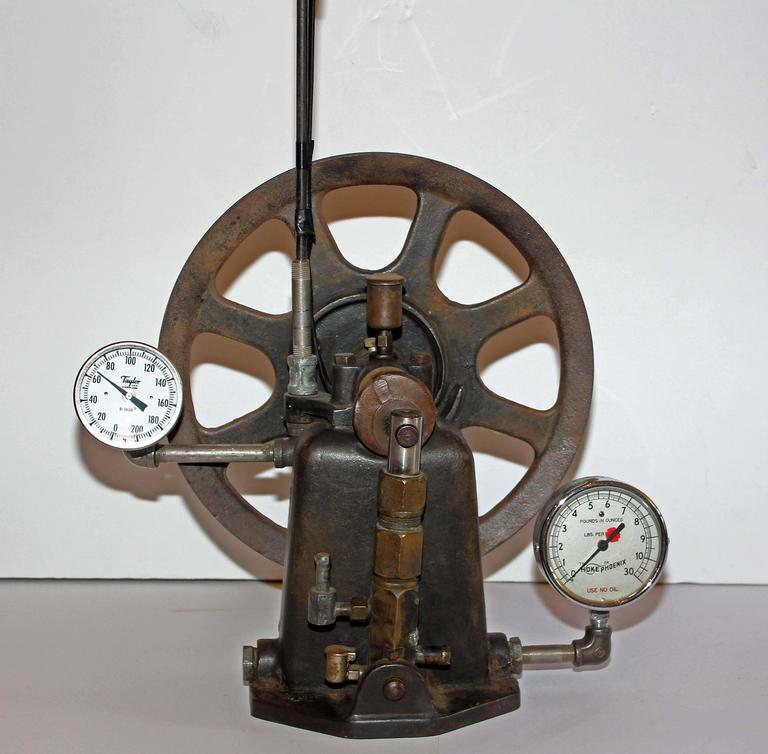 Composed of early 20th century industrial steam engine parts. Base measures 16" W x 15" H x 6" D. Height 51" when fully extended. 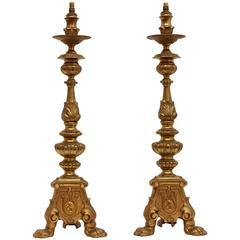 Pair antique brass Renaissance style Pricket table lamps. Fine quality castings, early 20th century. Antique Japanese Satsuma lamp. Gilt and glazed decoration, showing scholars in a landscape. Exceptional quality and depth. Circa 1920. Pair of Renaissance Revival style brass bouillotte table lamps. Brass and fabric shades, circa 1920s. 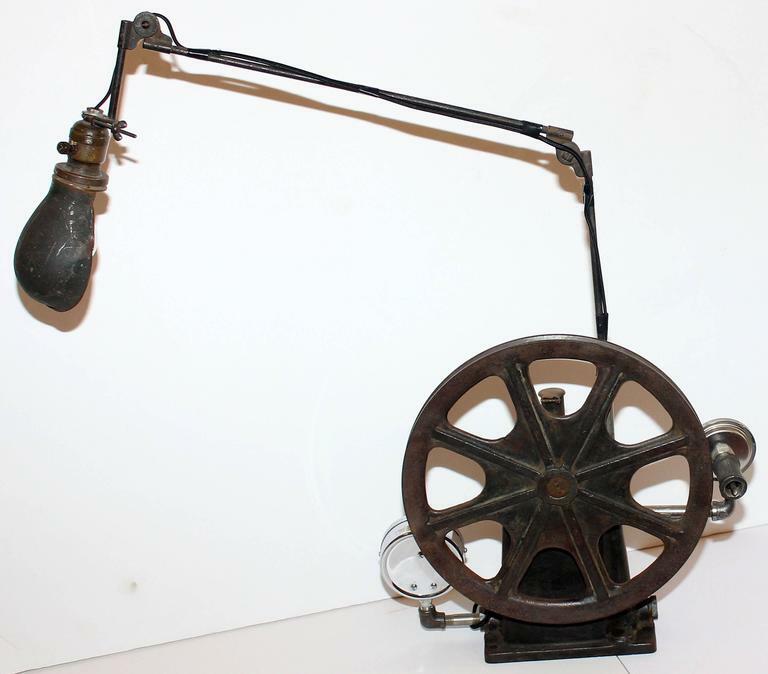 Very old adjustable lamp dates to the 1940s and is in working condition. The light has an E27 fitting. Measures: Height 60.0 cm Depth 40.0 cm Other diameter 12. O C White Industrial desk lamp with additional light fixture. Fully adjustable. Retains original green metal task shade, mounted to custom machined base. Vintage lamp Matsushita electrics style in metal. 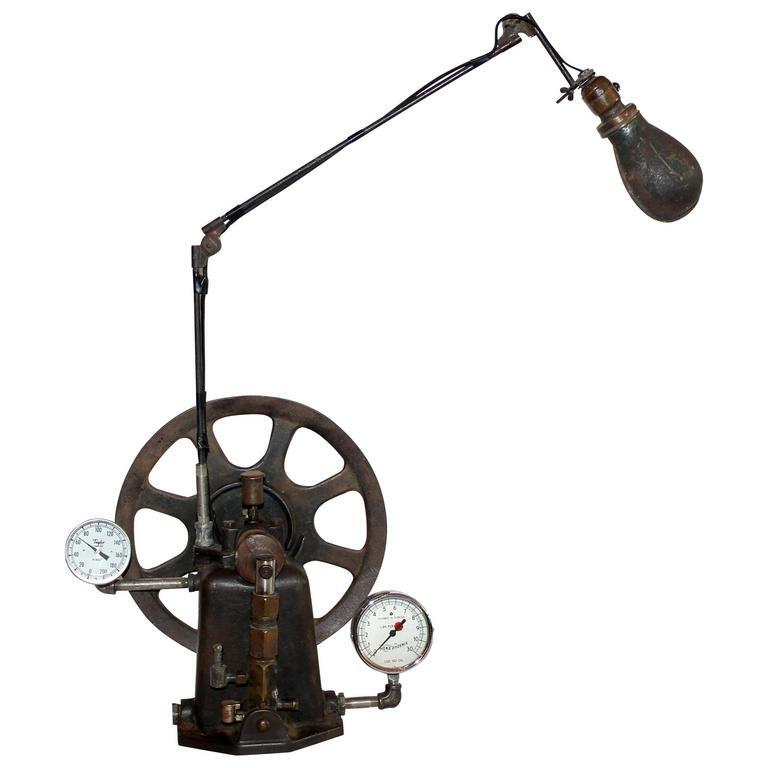 Industrial, midcentury, cast metal, microscope illumination lamp by Spencer Lens Company, Buffalo New York. This lamp casts an adjustable focused light and features a tilting base.